Enjoy the beauty of Cape May, New Jersey with a vacation at our Cape May campground! Camping in NJ has never been more enjoyable than this. 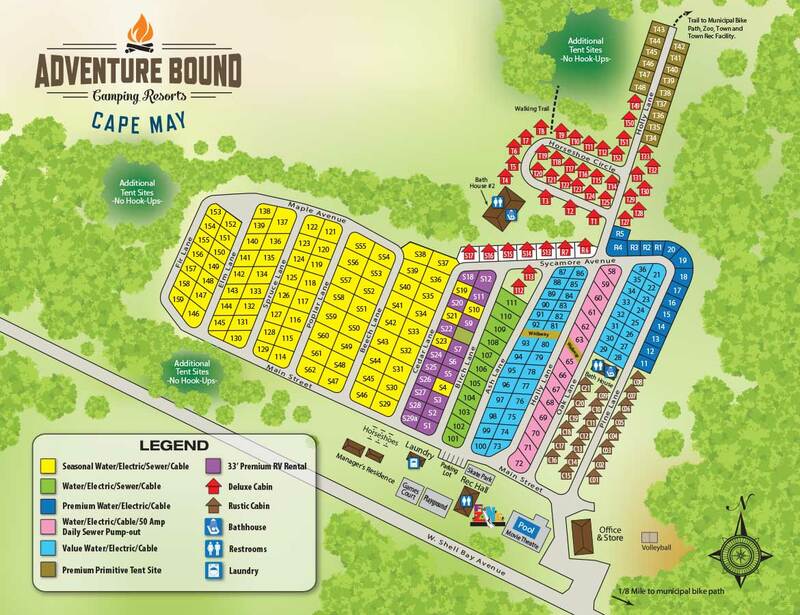 A secluded haven for fans of the Great Outdoors, this Cape May camping spot is just a short drive to dozens of area attractions and famed Jersey Shore beaches. Enjoy the beauty of Cape May, New Jersey with a vacation at our Cape May campground!